Professor Marcia Langton AM is an anthropologist and geographer and holds the Foundation Chair of Australian Indigenous Studies at the University of Melbourne. This year she was appointed Associate Provost. 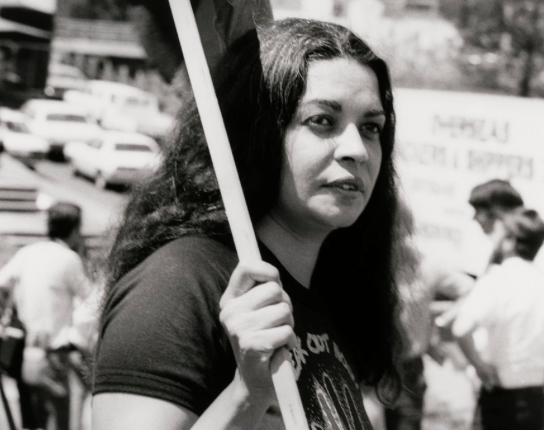 In 1993 she was made a member of the Order of Australia for her work in anthropology and advocacy of Aboriginal rights. Marcia Langton, a descendent of the fighting Yiman of Queensland, is a strong Indigenous leader with an unwavering commitment to achieve justice for her people. She is a speaker and writer who has produced a large body of knowledge in the areas of political and legal anthropology, Indigenous agreements with the mining industry, and Indigenous culture and art. Marcia Langton helps shape the public debate on Indigenous affairs by challenging entrenched views. And she is a effective activist who lobbies and works with governments and mining companies to change the economic and legal discrimination governing the lives of Aborigines. Professor Langton identifies the twin problems of poverty and economic exclusion as being at the heart of all the health and socio-economic disadvantage of the indigenous population. Professor Langton has been forthright in her support of Indigenous agreements with mining companies as a vital way of creating economic opportunities. She authored a book called ‘The Quiet Revolution: Indigenous People and the Resources Boom’. She recalls that in a meeting she attended with Rio Tinto in 2001, it was argued that the company could not employ Aboriginal men because they had problems with alcohol and the police. She told them to employ Aboriginal women. They did. In the last decade, mining companies and ancillary services have employed Aboriginal people and Torres Strait Islanders, men and women, in larger numbers than ever before in Australian history. The Mabo case, the Native Title Act and engagement with the mining industry have “ catapulted Aboriginal people engaged in the mining industry into the mainstream economy. I have worked at mine sites and witnessed this extraordinary change.” she says. Professor Langton is one of the leaders in the campaign for Constitutional Recognition of Indigenous people. In October 1999 she was one of five Indigenous leaders who were granted an audience with the Queen in Buckingham Palace to discuss Recognition. She also served with Noel Pearson on the Expert Panel on Constitutional Recognition of Indigenous Australians set up by Prime Minister Julia Gillard. The Panel made recommendations for Constitutional Recognition and the abolition of the race provisions. Despite intensive campaigning, Professor Langton and other Indigenous leaders are in a dilemma. The Australian Constitution is one of the most difficult in the world to change. If the referendum fails, she believes that no government in the near future will take up the cause. So the question is – might it not be better to delay the referendum for another generation? 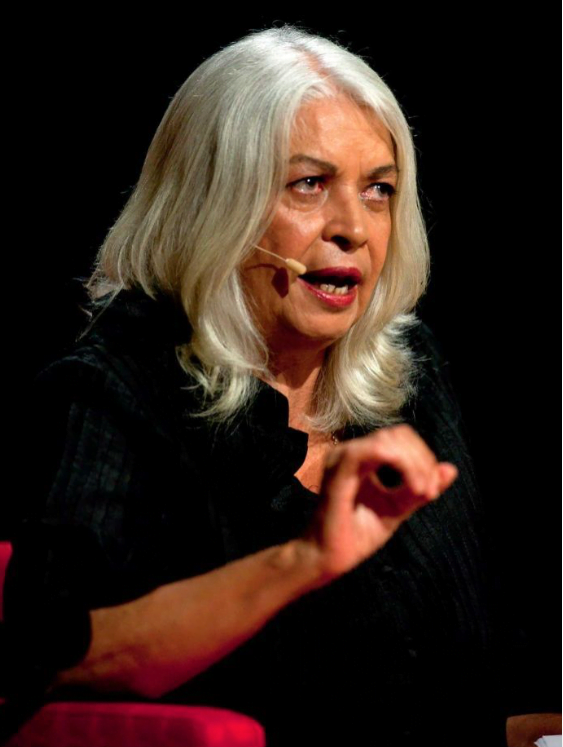 Even if a decision is taken to delay, Marcia Langton will not cease in her fight to ensure Aboriginal people are accorded their rightful place in the nation. I have been twice, once during construction and once after it opened. This is one of the best art galleries in the world. The architecture is stunning. I don’t want to say much because the Museum of Old and New Art, the private gallery owned by David Walsh, is such a surprise. No spoilers. 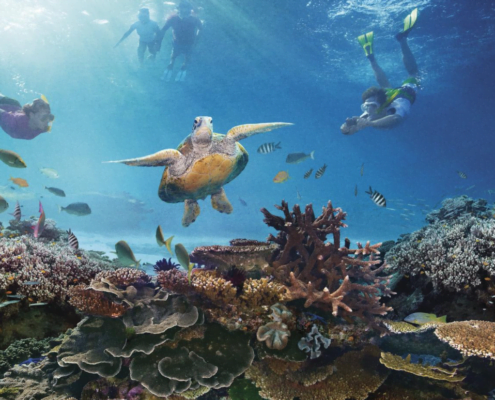 The Great Barrier Reef is the most beautiful place in the world. However, the Reef is too big as a place – at over 2,000 kilometres long – to suggest as one place to visit: it is many. Unfortunately for travellers, it can be very expensive to see the most beautiful and biodiversity rich parts of the reef and the least expensive and accessible areas are impacted by too many visitors. That said, I have visited the reef at several places and the coral reef and its many life forms are always stunning and unforgettable. Green Island is easily accessible from Cairns, as are several other areas. I have also toured parts of the reef departing by boat or yacht from Townsville. I would love to visit Lizard Island. The rainforest covered mountains of north Queensland are heritage listed and there are many places to visit. 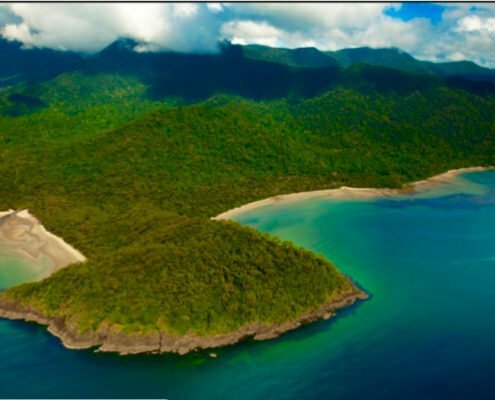 The Daintree Rainforest is the most famous and because the rainforest meets the sea along this stretch of coastline, this area is magical. I have camped at Thornton’s Beach (many years ago) and, sitting on the beach, watched the ocean traffic in wonder. Pilot whales, dugong, schools of fish, and stingray passed by, while the beach itself is a peaceful and beautiful place to rest. The fire flies come out in the evening here, and the animals that create irridescent clouds float on the waves. A full moon night is the best time to sit on the beach here. 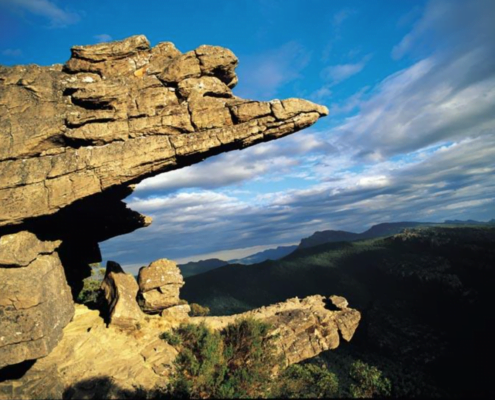 The ancient landforms in the Gariwerd Grampians National Park date from the Gondwana period and it shows. These mountains and valleys feel old. And they are old: hundreds of millions of years old. This is a unique place because of its geological history but it is rich in Aboriginal history and culture. I always go to the Brambuk Cultural Centre before heading off on a walk or a swim in a lake. The waterfalls are beautiful after rain. The forests and vegetation are endlessly fascinating and full of birdlife. The NGVA and NGVI on opposite sides of the Yarra River in Melbourne CBD are my favourite home town haunts. These art galleries have great collections and the staff are friendly and accommodating. The restaurant and cafes are delightful. 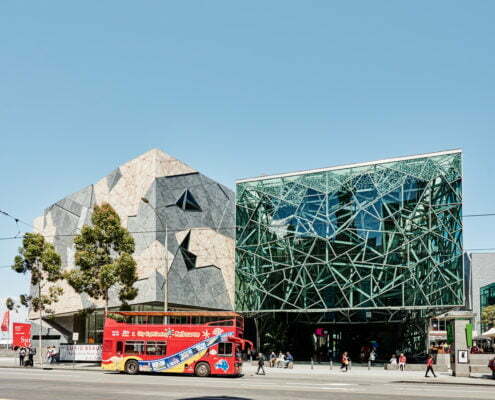 Parking is easy at the Federation Square parking station, but it’s an uphill walk to Collins Street to look in the designer shops. Fortunately, Movida is across the road and I can stop there for a wine and tapas.